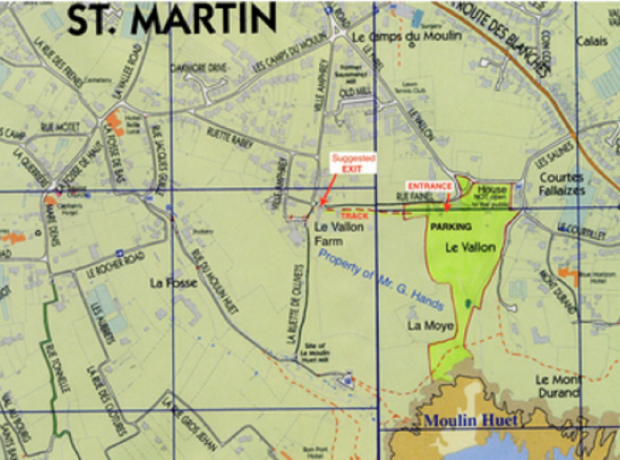 On June 17th 2018 between 2pm and 5pm by kind permission of Major and Mrs. Phillippi the gardens at Le Vallon, Ruette Fainel, Le Vallon, St. Martin GY4 6DQ will be open to the public. Parking is available and entry is a minimum donation of £5 which will be in aid of the GSPCA to help the many animals at the Shelter. Due to the livestock living free range on site we are sorry to say that no dogs (except guide dogs) are allowed. Refreshments and cakes will be on sale to help enjoy your afternoon in the stunning grounds of Le Vallon in St Martins. On Sunday over 150 visitors joined the GSPCA volunteers, Guernsey Floral Group and St Andrews Group with a walk around a stunning garden with amazing views. It all took place on Sunday 26th June 2016 between 14:00 - 17:00 and despite a busy Guernsey with many other events taking place crowds flocked to visit the amazing garden with fantastic views. Could you make cakes to sell at an open Garden this weekend or even help? If you can make any cakes please do pop them into the GSPCA ideally by 5pm on Saturday please. If you can help please do let us know as we are looking for volunteers between 12pm and 5pm to man the car park and serve refreshments. Join us for a walk around a stunning garden with amazing views on Sunday 26th June 2016 between 14:00 - 17:00. This by kind permission of Tim and Eleanor Henderson. The garden is at L'Etiennerie Farm, Rue des Grantez, Castel and will be open to the public on behalf of the GSPCA. An informal country garden with herbaceous borders, pond, potager, a wild flower meadow and views over the Fauxquets Valley and surrounding countryside and stunning views. Refreshments available including hot and cold drinks as well as a selection of cakes.